Located at the head of the lake, Lake George Village is a lively waterfront resort community. Seasonal activities in the Village include: The Elvis Festival in May; Americade, the annual motorcycle rally held in June; Magical Mondays in the Park during the Summer, with jugglers, magicians, facepainters and bouncy houses for the children; Antique boat and car festivals; the Adirondack Balloon Festival in September, featuring a Moonglow - an illuminated hot air balloons display; a plethora of summer craft fairs and concerts by artists ranging from the Lake George Community Band to the Glens Falls Symphony; a jazz festival; street performers; and weekly fireworks displays during the summer - as well as a winter carnival with a variety of snow and ice sport competitions, usually held in February. 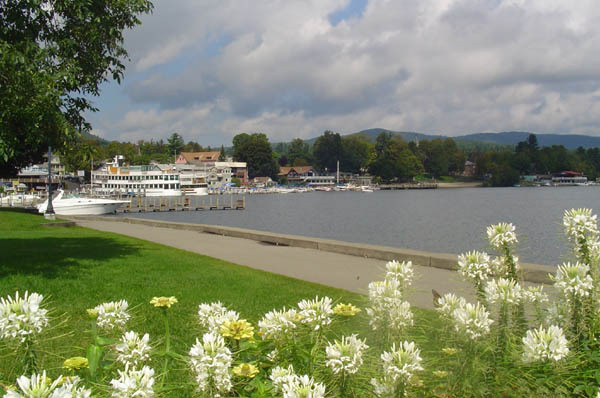 Real estate in the Village of Lake George includes many commercial establishments such as motels, water sport facilities and marinas, plus a number of private homes. Traveling north from the Village in the Town of Lake George along the west side of the Lake, the visitor will find the townhouses of Green Harbour, The Antlers and Cannon Point, along with The Overlook at Lake George on the east side. On both the east and west sides, lakefront homes include everything from cottages to mansions and tend to represent the high end of the inventory, while properties that offer lake access or a lake view are more modestly priced. Both public and private campgrounds are available in the Town of Lake George.